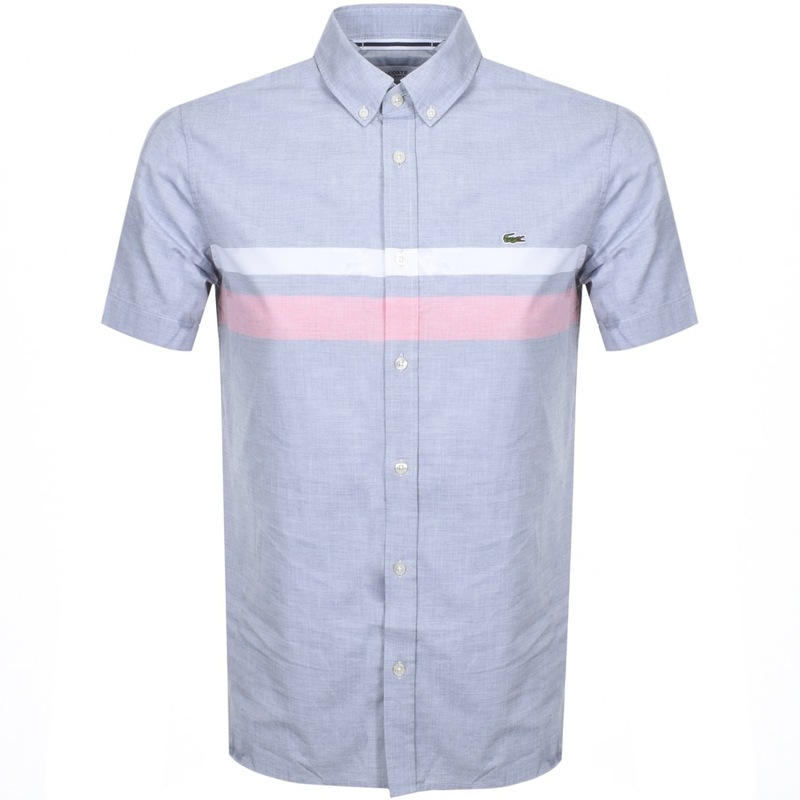 Lacoste Short Sleeved Chest Stripe Shirt In Navy Blue And Salvia White, Slim Fit. A two tone woven shirt in navy blue and white with full front branded pearlescent button opening and a button down shirt collar and short sleeves. Striped detailing to the chest in white and pink with the signature Lacoste Crocodile logo embroidered in green, red, white and black. Reinforcement tabs on the hem with a curved hemline and a slightly longer reverse. 100% Cotton. Brand New Fantastic Lacoste Shirts, T Shirts And Polos Live Online.